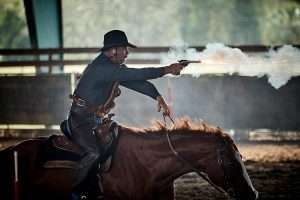 Experience the traditional culture and history of Kissimmee’s cowboys through Suhls Rodeo. Our family friendly show includes something for everyone: Bull Riding, Barrel Racing, Rope Tricks, Audience Interaction, and more. No two shows are the same! The rodeo goes on rain or shine at least 3-4 times a month on Friday nights. View our schedule and plan your next rodeo event! Want to be a part of the action? 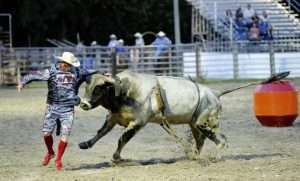 We welcome athletes of all levels to compete in our rodeo events for cash prizes. See Contestants page for details. Notice: Our rodeo contestants and performers put on a show rain or shine. There are no refunds for bad weather. Private groups up to 800 are welcome. Contact us for availability and pricing. Our lounge is available for rent all year long. We host banquets, wedding receptions, birthday parties and more. See our Private Events page for more details.